Now that UFC 150 is a thing of the past, it’s time to kick the “UFC 151: Jones vs. Henderson” hype train into overdrive. To help generate hoopla for the Octagon’s next pay-per-view broadcast, the planet’s premier mixed martial arts promotion has launched the event’s official trailer. 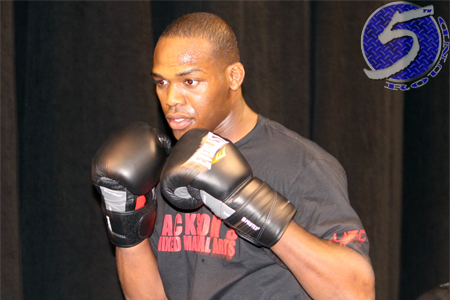 Light heavyweight king Jon Jones (Pictured) defends his throne against Dan Henderson in the show’s featured attraction. Welterweights Jake Ellenberger and Jay Hieron get second-to-top billing. Mandalay Bay Events Center in Las Vegas, Nevada hosts the bash.